Rightly or wrongly, the current administration has chosen to detain the majority of asylum seekers and undocumented immigrants, as well as the occasional immigrant with status or U.S. citizen. If you or a loved one has been detained by Immigration & Customs Enforcement (ICE), it can be terrifying and confusing, as options to affect your release can seem nonexistent. However, there are things that you can do to improve your situation or to at least stabilize things. Do Not Say or Sign Anything: Especially under this administration, the push to have immigrants sign away their legal status or admit to potentially damaging conduct is strong and persistent. You are not required to speak or sign anything, and any threat to you as a result of refusal is unlawful. You can ask for an attorney - the government is not required to provide one for you, but they must allow you to engage one yourself - and it is generally a good idea not to speak to ICE without an attorney present. If Possible, Seek Bond: While grants of immigration bond have decreased since the advent of this administration, it is still possible in some cases to be granted bond and released from detention, especially if you have some claim to legal status. The minimum will usually be $1,500, though exact amounts will vary from case to case. If you are undocumented, it will be unlikely that you will be granted bond under this administration - historically, only flight risks were denied bond, but despite the incentives for undocumented people to attend their immigration hearings, the administration prefers to not risk matters. In this day and age, it can feel as though an immigrant, in particular an undocumented immigrant, has no rights at all in the United States. This is simply not true — and many times, those who may seek to infringe upon rights count on immigrants not being aware of them. If you are in the country without inspection, knowing what you can and cannot do can make a difference in how quickly you can respond to a serious situation. Children in the United States are entitled to a free public education up to grade 12, regardless of their immigration status, as confirmed in the Supreme Court case Plyler v. Doe (1982). This means that schools cannot restrict any child from attending primary or secondary school as long as they are under age 21 — this extends to requiring immigration information from parents, as well. In other words, a school district may not require any kind of identifying information that marks someone as a citizen or non-citizen, because to do so might have the effect of undocumented children being kept out of school. When someone enters the United States, he or she either does so at an inspection point, like an airport or shipyard, or he or she enters without inspection, by slipping over a border. Entering without inspection (EWI) does make someone undocumented, but many people become confused about the true meaning of EWI and its potential immigration consequences. One of the most important misconceptions about EWI is what it means to one’s immigration status. 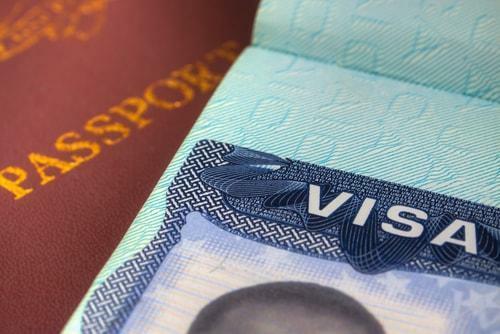 If someone is lawfully present in the U.S. and commits a crime or overstays his or her visa, then he or she becomes removable. In other words, he or she is able to be removed from the country. However, someone who has never been lawfully present in the U.S. cannot technically be removable, because he or she is legally not present. 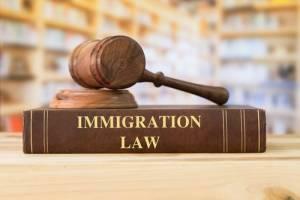 He or she is deemed to be inadmissible instead — one of many grounds for inadmissibility listed in U.S. immigration law. Whether an immigrant is documented or undocumented, he or she may one day receive what the Department of Homeland Security (DHS) calls a Notice To Appear (NTA). Receiving an NTA does not automatically mean that someone is going to be deported, but it does alert the recipient that there has been an alleged violation of immigration law. If you receive an NTA, it is imperative that you understand what it actually means, and why you may be on the proverbial hook. If you do not, it will harm your ability to put on a good defense. The sole reason why you might receive an NTA is because the U.S. government believes you are removable (deportable) from the country, for whatever legal reason. This does not only apply to undocumented immigrants; if someone enters the country legally and then overstays, or has committed a crime, he or she may also become removable. He or she will also receive an NTA if his or her situation requires it. The “appear” in the Notice To Appear is an advisory that you are permitted to plead your case before a judge, and to articulate any special circumstances.